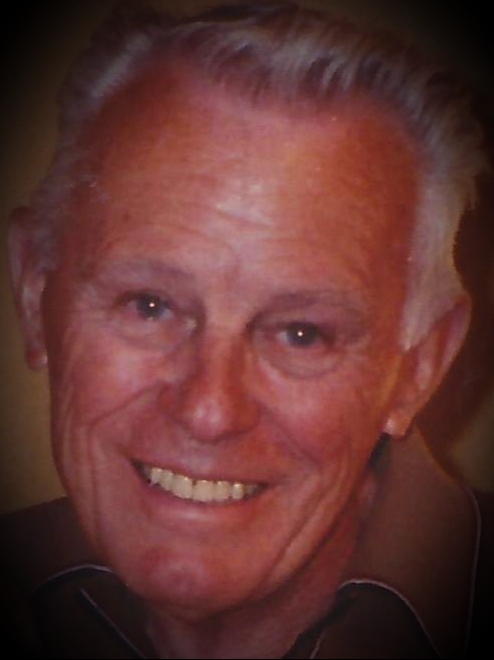 Karl Lloyd Bergen, Sr., 97, passed away on the evening of January 28, 2019 in South Ogden, Utah. Karl was born October 6th, 1921 in Corrine, Utah, the youngest of four children, to Luther Martin Bergen, Sr., and Marie Elizabeth Bjorndal. Karl married his eternal sweetheart, Amy Fern Schow on October 21, 1942 in the Logan Utah Temple. For the first four years of their marriage, he served in the United States Navy during World War II where he instructed his fellow servicemen to operate the guns on the battleships while stationed in Rhode Island. Upon returning from the Navy, Karl spent much of his career working as an office manager for Allied Chemical as he helped to raise his five children in Los Angeles, California. As a member of the Church of Jesus Christ of Latter-day Saints, he enjoyed serving in numerous positions including Stake Missionary, Elders Quorum President, and as a member of various Bishoprics. Karl adored music. So much so that he majored in music, played the trumpet and piano, and had a love of directing choral arrangements. His passion was classical music, and he instilled in his children and grandchildren a love of musicals and the performing arts. He was preceded in death by his beautiful wife Amy Fern Schow Bergen, dedicated parents, and loving siblings, and survived by his children, Karl Lloyd Bergen, Jr., Kathy Bergen (Daniel Garth), David (Judy) Bergen, Janet (Dr. Robert) Martinich, and Nancy (Dr. Lorenzo) Romney, 19 grandchildren, and 28 great-grandchildren. Services will be held in the Church of Jesus Christ of Latter-day Saints Brigham City 12th Ward Chapel, 139 East 300 North, Brigham City, Utah at 2 p.m. on Monday, February 4, 2019. A viewing will be held at the chapel from 1:00 until the time of the service. Interment to follow at the Brigham City Cemetery. We wish to thank all those who touched our lives and reached out in our time of mourning. We will always carry your kindness in our hearts.